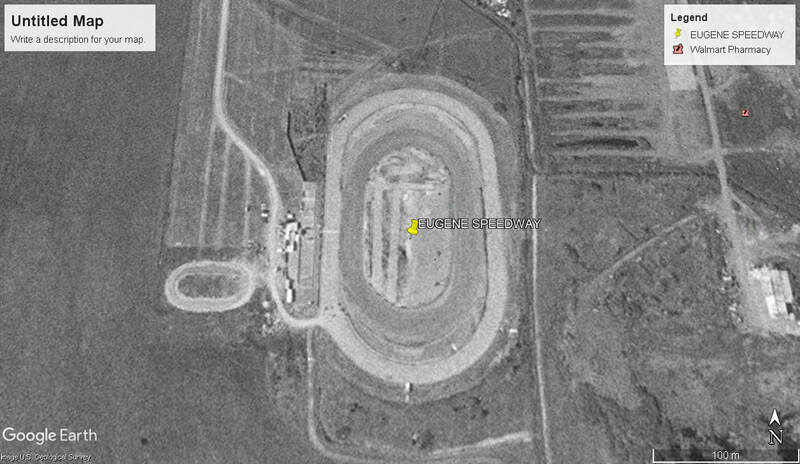 Eugene Speedway opened in 1953 as a 3/8 mile dirt oval speedway running mainly Stock Cars. A year after opening the owners decided to upgrade the track and resurfaced it as a paved track, The Speedway was very successful in its promotions and even ran some NASCAR sanctioned events. Like many race tracks in fast growing regions, it was only a matter of time before the housing sprawl expanded up to the track and the noise complaints began. 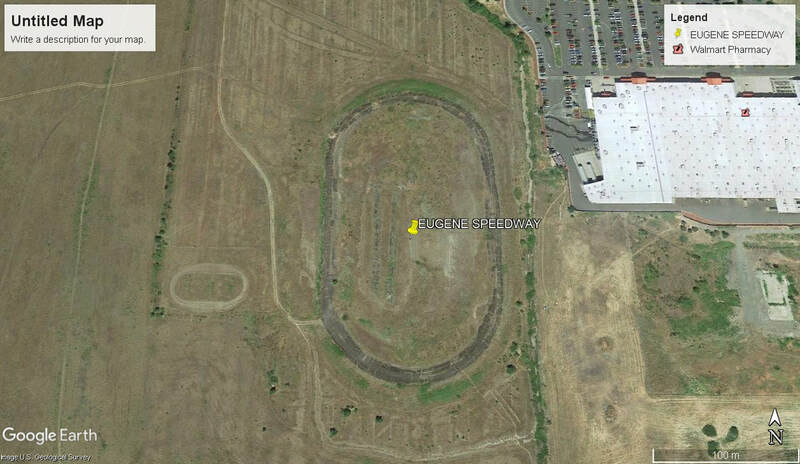 The speedway did survive and in 1993 a dirt track was built within the paved track for Sprintcars. In 1995 the paved track closed and in 1996 so did the dirt track, both never re-opening.